along with the caption: 'Today's blessing brought to you by Adidas!' 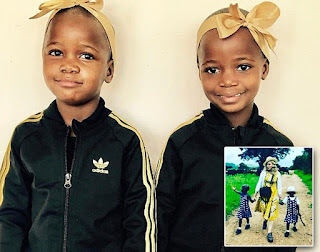 Her post comes days after the twins' father, Adam Mwale - who was in court for the adoption hearing earlier this month - claimed he was misled about the official agreement as he thought his children would be returned to him one day. 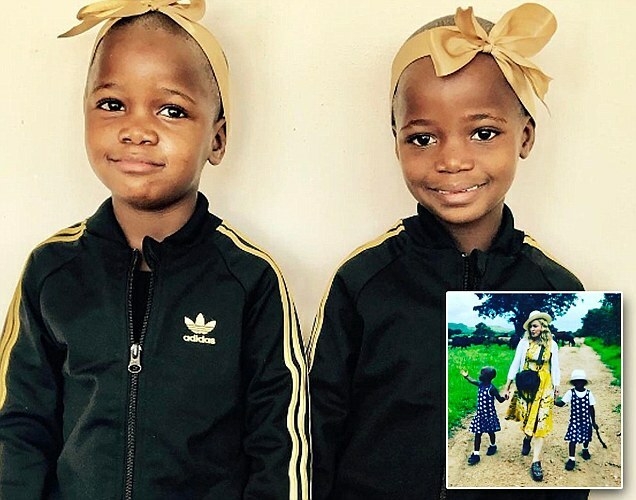 The adoption of the twins by the 58-year-old star - who also has kids Lourdes, 20, and Rocco, 16, as well as 11-year-old David, who, like the twins and Mercy was adopted from Malawi - will be made permanent in 12 months time, subject to court approval.